Generally the walls are used for this purpose. Ball busting and the related fall out. 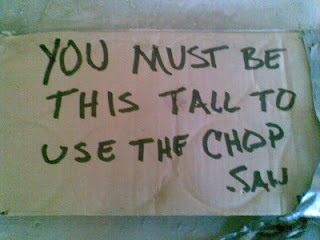 My guess is this was directed at a short carpenter? Just a shot in the dark.